Research Day is an annual event within our department that showcases research projects from our trainees in both oral and poster presentations. Topics will cover a range of subjects within the Obstetric and Gynaecology field, and will be presented by over 100 trainees! This is a great way to support our trainees, as well as learn more about current research in your field. This event is hosted by the University of Toronto's Department of Medicine. The goal of this symposium is to provide useful up-to-date information for physicians and other health professionals on controversial issues in fetal ultrasound findings and new technologies in prenatal diagnosis. It will also provide updates on a variety of recent breakthroughs in the medical genetics field. This event is hosted by the Southern Ontario Reproductive Biology Conference Organizing Committee. 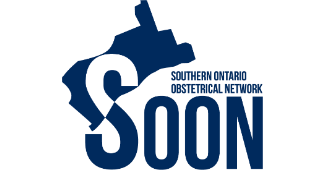 The Southern Ontario Reproductive Biology Conference (SORB) 2019 will be held on Friday, June 7th, 2019 in the Medical Sciences Building at the University of Toronto.